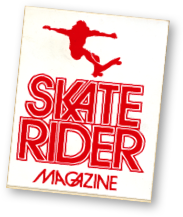 Skate Rider was a glossy, full-color skateboarding magazine published in Cocoa Beach, Florida, from 1976 to 1980 by two brothers, John and Gunnar Griffin. The quarterly was literally printed back-to-back with Wave Rider (1975-1982), a surfing mag that was also published by the Griffins. 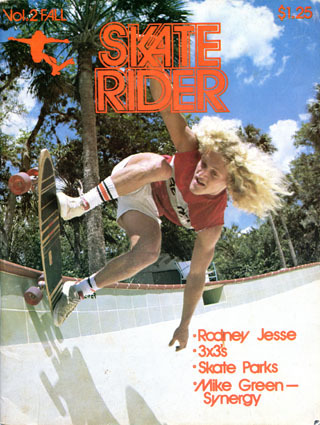 Skate Rider focused largely on the Florida scene in an attempt to balance out the seemingly biased coverage of the skate media during the 1970s, but it also featured skating in other regions such as New Jersey, Puerto Rico, and of course, California. John Griffin, the younger of the two brothers, served as the editor of the magazine. 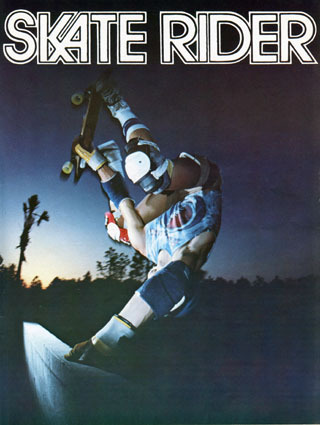 In spite of its effort to broaden the geographical scope of skateboarding, Skate Rider was less polished and connected than its West Coast counterpart SkateBoarder and it failed to achieve the same success and circulation. 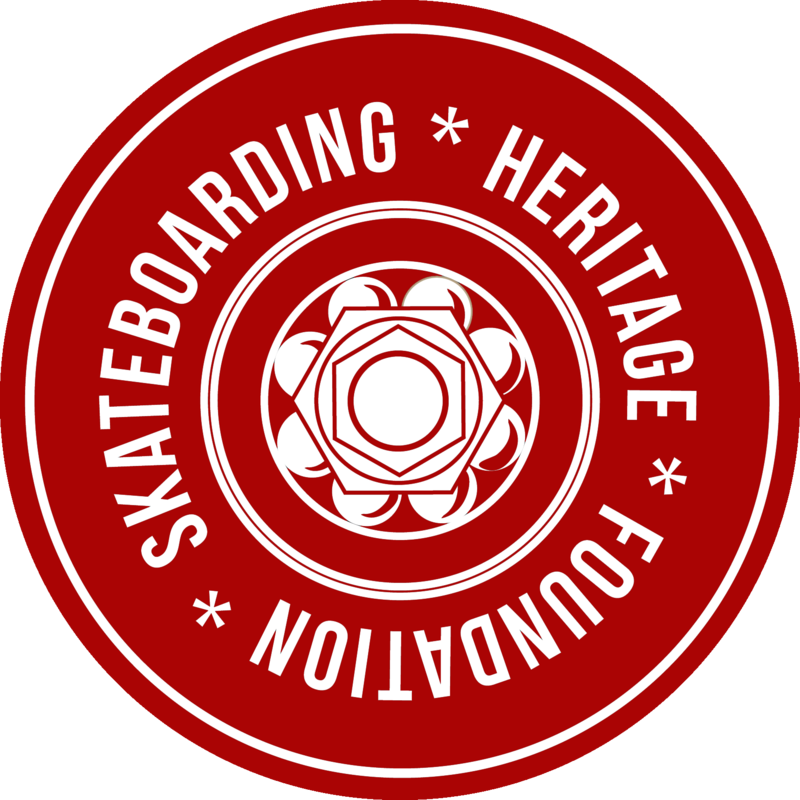 One thing it did do though, despite all its faults, was inspire and document some history that would have otherwise been lost. 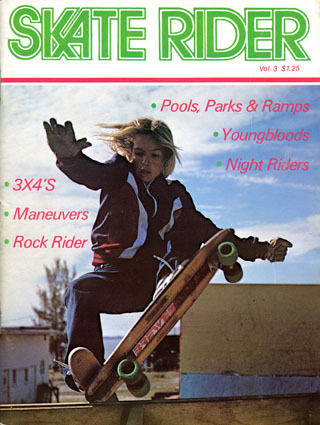 Some of the skaters the magazine featured included Mark Lake, Rodney Jesse, Alan Gelfand, Mike McGill, Kelly Lynn, Clyde Rodgers, Dan Murray, Charley Gonzalez, Bobby Mandarino, Bill Reilly, Bruce Walker, Jim McCall, Shogo Kubo, Tony Alva, and Jay Adams, among many others. 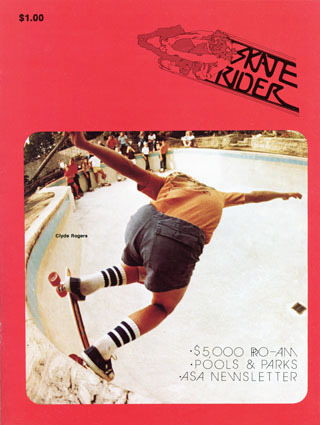 On the cover: Clyde Rodgers, backside kickturn in the deep end at Oaks pool, Daytona Beach, Florida. On the cover: Billy Knapp does a Tail Tap at J.P.'s Radioactive Ramp, Florida. 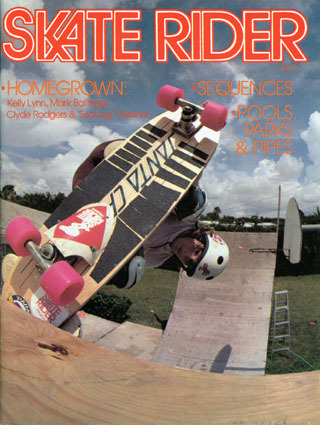 On the cover: Dave Narducci Tail Taps a backyard ramp near his home in Daytona Beach, Florida. 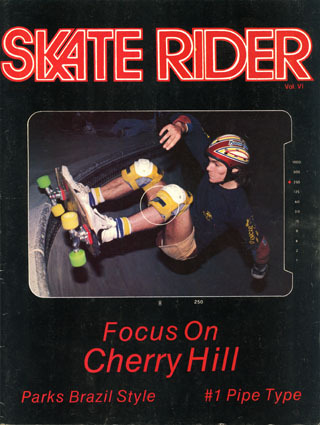 On the cover: Long Island skater John "Woody" Woodstock at Cherry Hill skatepark, New Jersey. On the cover: Boca Raton's Huck Andress during a vert ramp demo at the Central Florida Fair. 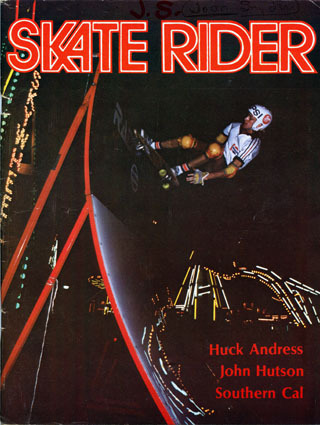 On the cover: Ed Womble, handplant, Sensation Basin, Gainesville, Florida.